If you live in the Beverly Hills or Spring Hill area of Florida, Chaney Chiropractic Clinic has an office near you that provides chiropractic care services. Keep reading to learn more about whiplash, its causes, its treatments, and how chiropractic care can help those suffering from this injury return to a higher quality of life. The human head weighs an average of 12 pounds, and its entire weight is supported by several delicate structures. These include ligaments, discs, nerve roots, and intervertebral joints. These structures are responsible for providing stability and for moving the head in many motions. A sudden change in direction such as that sustained during a vehicular collision can cause whiplash. This condition is created when those fragile neck structures sustain injury when trying to compensate for the unexpected change of direction. Early symptoms of whiplash include dizziness, blurred vision, stiffness, and headaches. In addition, pain in the neck and shoulder areas is also common. If not treated quickly, these can become permanent problems. Not only is whiplash the most common auto accident injury, but auto accidents are the most common cause of whiplash. 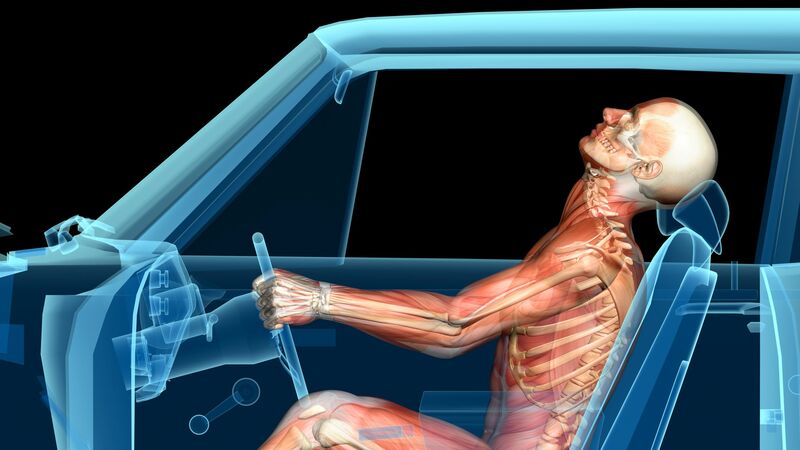 The rapid jerking motions experienced during a collision are perfect for creating the damage that leads to whiplash. It can, however, be caused by other accidents like a slip and fall. The symptoms of whiplash may not present themselves for up to 48 hours after the causal accident. This can make it hard to treat the condition and might also create a problem getting any insurance that is liable to cover the cost of treatment. To prevent these issues, it is essential to seek treatment immediately following any accident, even if an injury is not immediately apparent. Let us help you prevent whiplash from becoming permanent and find relief from whiplash symptoms. Have you had a whiplash injury that was helped by chiropractic care? Join the conversation by letting us know about it in the comment section. Call the Chaney Chiropractic Clinic at our Beverly Hills, FL, office at (352) 270-8869 or our Spring Hill, FL, office at (352) 686-6385 to make an appointment, or stop by one of our offices in person today.